A Croatian parliamentary delegation cut short its official visit to Serbia on 18 April after an incident caused by Serbian Radical Party leader, MP and convicted war criminal Vojislav Šešelj. The incident highlighted the fragility of relations between erstwhile Balkan foes, more than 20 years after ethnic wars ended. The Serbian Radical Party said in a statement that Šešelj had “stomped on the Croatian flag” outside the Serbian parliament building and cursed at the Croatian parliamentary delegation, headed by speaker Gordan Jandroković. 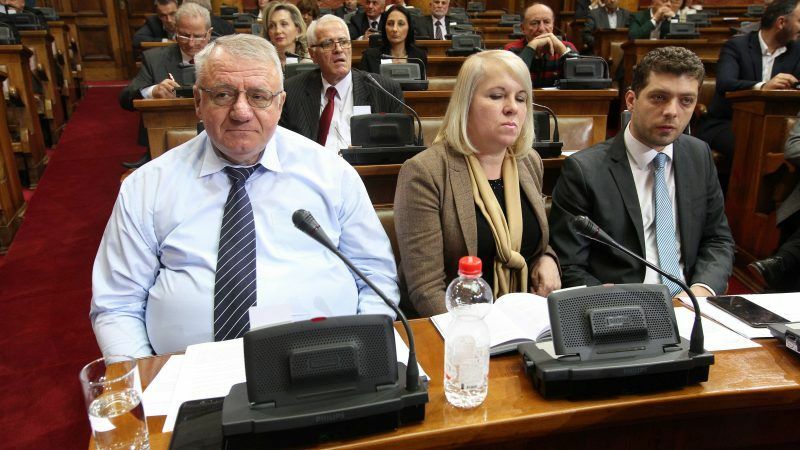 Only a day earlier Šešelj verbally assaulted a fellow MP who asked if his parliamentary mandate would be revoked after he was convicted of war crimes by a UN tribunal, as required by a law on electing members of parliament. “Despite a very good start of the official visit and the determination to do our best to improve the two states’ relations, because of this act that severely violated the dignity of the Republic Croatia and the Croatian parliament we cut short the visit,” the parliament’s press service stated. Serbian Parliament Speaker Maja Gojković strongly criticised “a brutal attempt” by the Radicals’ leader to jeopardise the dignity of the Serbian parliament and delegation of the Croatian parliament, Beta News Agency reported. Šešelj’s actions were also fiercely condemned by Prime Minister Ana Brnabić, who called on all politicians to act in line with the proclaimed aim of making Serbia a model of cooperation, contributing to good relations in the region and Europe. “Attempting to tear the Croatian or anyone else’s flag or state symbol and insulting members of official delegations visiting our country is not the kind of behaviour that represents Serbia, the values of our government and the majority of our citizens,” Brnabić posted on her official Twitter account. After a meeting in the Serbian parliament building, Jandroković was supposed to attend the opening of a Croatian Chamber of Commerce office in Belgrade. A day later he was to meet President Vučić and Prime Minister Brnabić and meet Croatian community representatives in the northern town of Subotica. A week ago Šešelj was sentenced to 10 years in prison, according to a final verdict of the International Criminal Tribunal for the Former Yugoslavia, but will not go to jail because he had spent more than 10 years in the tribunal’s detention unit. After the verdict, Šešelj said he would “break the nose” of anyone who called him a war criminal. “What we saw yesterday [in the Serbian parliament] is disrespectful to a democratic institution, representing citizens and those who work for good-neighbourly relations, regional cooperation and reconciliation”.